Since Jamie started to work over two months ago, she has had more than 10,000 conversations with customers, and 60 per cent of customers say she was able to answer their queries. 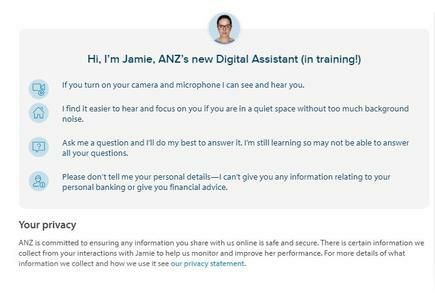 Jamie is a trainee at ANZ Bank and works 24x7. But if you ask her to go out for coffee, she will politely turn you down. “I don’t need coffee to stay awake, but thanks for asking,” she replies. After all, Jamie can not just step out of her workplace. Jamie is an avatar, created to answer frequent customer queries. 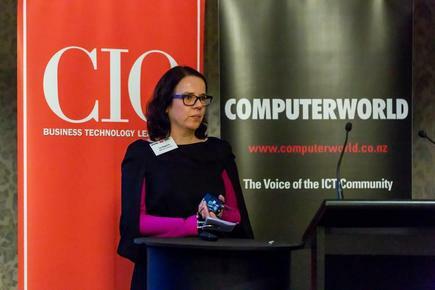 “Jamie is a work in progress,” explains Liz Maguire, head of digital and transformation at ANZ Bank. “As human beings, we have been talking for a lot lot longer than we have been using small screens,” says Maguire, on how the project came about. 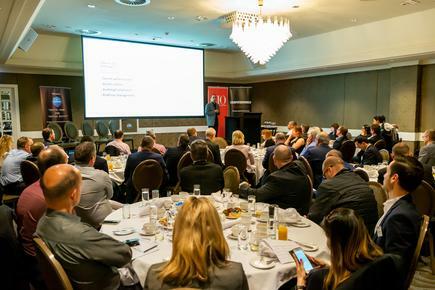 Maguire talked about creating Jamie as part of her presentation on the ‘secrets of effective change leaders: inclusion and innovation’ at the recent CIO and Computerworld forum ‘Digital Now and Digital Savvy’ held in conjunction with Zoho. Maguire explains that at the moment, Jamie can answer answer the top 30 frequently asked questions or most frequently searched-for topics on the help section of anz.co.nz. She shares that they are receiving demands to include more topics that Jamie can answer. Jamie was made in partnership with Soul Machines, whose CEO and co-founder Mark Sagar, has won awards for his groundbreaking facial technology in King Kong and Avatar. “If you are happy, she looks happy; if you are sad, she looks genuinely concerned,” says Maguire. We are looking at all of the conversations she is having with the customers, says Maguire. She discloses that the team spent a lot of time working on privacy issues that go with the deployment of a digital human. She says a customer accepts a disclosure agreement that they will get written extracts of the conversation and the emotional tags. Jamie can only answer generation questions and does not need personal customer data. “We don't want people talking about specific information with her,” explains Maguire. She adds that Jamie compliments the digital options and channels of the bank. She says two-thirds of their customers use digital channels regularly. The ages of those who use the digital assistant are fairly evenly split between those in the early 20s and mid-60s, says Maguire. There is slightly less use of the technology by those over 65 and those under 21. “That is a reflection that those under 21 have less complex banking needs,” she states. Jamie is smart, capable, and intelligent, so why could she not be female? The truth, she explains, is that Jamie is a stock avatar from Soul Machines. Jamie is also the same model used by Air New Zealand’s avatar Sophie. 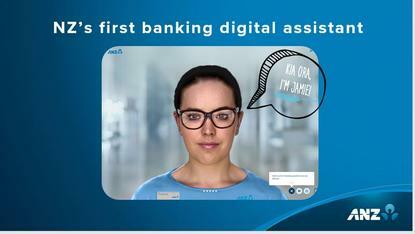 “We are the first bank in the world to have a publicly available digital human on the system,” declares Maguire. 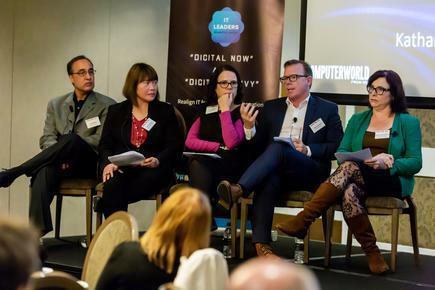 So what can other organisations learn from their pioneer work on creating a digital assistant? First is, the importance of conversations. ANZ brought in a former movie director to the team. “She has a whole bunch of skills in making characters believable,” says Maguire. She reveals the team worked on the digital human for about a year before they were confident for it to go live. When Jamie went live in July, they learned their second biggest lesson: that people are willing to give time to try new ideas. “We [were] gobsmacked about how willing our customers and staff have been to try new things,” she relates. Maguire shares that the staff approached customers queuing at the ANZ flagship branch on Queen Street in Auckland. “People were receptive [to the invite], and they were way more receptive to Jamie once “they had a go” in asking her questions. There were also unexpected benefits. “We did not think that potentially Jamie might be a tool to help migrants,” says Maguire. This, she says, is a lesson for heritage companies working on innovation projects. She then shares the third lesson: how Jamie has highlighted to them that customers have surprisingly high expectations of innovation. Since the launch, customers have felt that Jamie can answer anything. So much so that when the bank had an outage a few weeks ago, everybody who went to Jamie thought she would know what was going on. “Once you start down the path, you have to move pretty darn quickly to be able to keep up with customer expectations and hopefully get ahead as well,” she says. Jamie is responding, talking to the customer in real-time, and we are building a bunch of functionalities to make use of that real-time capability, Maguire further expounds. She then segues to the fourth lesson shared by her team: There’s never enough time. “When you are working on new innovation, you are always pressed for time,” states Maguire. She says when they were working on Jamie, the year felt like an “excruciatingly long time”. Since Jamie was a pilot project, they had to work on a lot of sign offs, and spent a lot of time testing “to get the project right”. “What we have found is the time is super slow when you are bringing it to market. The second you bring it to market time, time is up really really quickly,” she says. “We are pretty excited over Jamie,” says Maguire. She sees “interesting use cases” for Jamie within and outside the bank. In the future, Jamie may be able to tell a customer interest rates in real-time. “I would like to see her at GoMoney,” says Maguire. 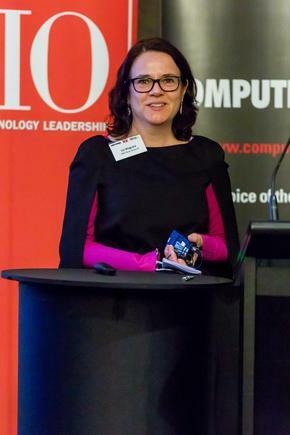 The latter, developed by her team, is the most popular mobile banking app in New Zealand, having been downloaded by more than half a million Kiwis.